ConstructionSuite is designed to be easy to learn and easy to use, but when questions do arise, you need answers. As a UDA TotalCare member, you'll have peace of mind knowing that knowledgeable representatives are standing by to offer expert, personalized service. UDA Technologies employs an expert team of engineers who develop and support every ConstructionSuite component, so the system forms a truly integrated project management solution. And since it's designed, developed, sold, and supported by the same company, you get access to UDA Technologies' own technical experts - the people who know ConstructionSuite systems best. Experience rapid resolution of technical issues and get fast access to how-to help from UDA Senior Product Support Engineers. Spend your Time Working, Not Waiting. ConstructionSuite is designed to be easy to learn and easy to use, but when questions do arise, you need answers right then. 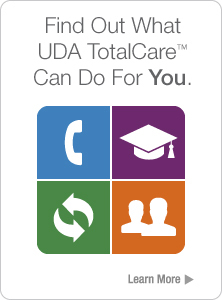 As a UDA TotalCare member, you'll have peace of mind knowing that knowledgeable representatives are standing by to offer expert, personalized service. You'll also benefit from priority call status, which quickly connects you to Senior Product Support Engineers, who work to lessen your downtime and get you back to business fast. Any question is worth asking when you're not paying by the call. Since there's no limit to the number of calls you can make, there's no limit to the number of tips and tricks you can learn. 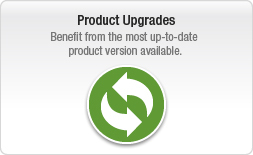 Benefit from the most advanced features in your ConstructionSuite system and get expert support as often as you like. Get connected and get back to business. With remote assistance powered by Citrix technology, Senior Product Support Engineers can access your computer through a broadband connection, quickly diagnose the issue, and get you back benefiting from ConstructionSuite faster than ever before. Remote connections also provide the best method for how-to help, so you'll get real-time tips and tricks while working one-on-one with the people who know ConstructionSuite best. You don't even have to pick up the phone to get the answers you need. 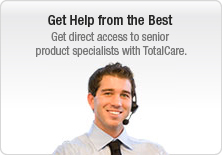 Access UDA support experts by submitting an email query at anytime. You will get a prompt, personalized response and have a written record to reference later. It's quick, convenient, and accurate. "Just wanted to tell you how excellent your support has been. 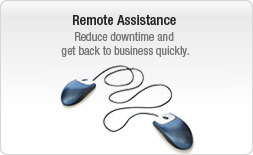 I have worked with a lot of software companies and UDA is clearly the best when it comes to service and support. Everyone I talk to is more than competent and quailified. You really do a great job." "Your service is outstanding, some of the best support I have ever experienced!" - Matt Tripoli, Tripoli Carpentry and Construction "I don't even know why you offer support as an option, it is by far one of the best parts of the product." 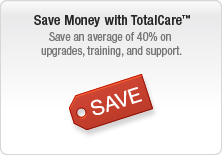 - Charles Lubeshkoff, RCS, Inc.
"Your TotalCare team has always been first class, polite and patient with us. You definitely have the best customer support I have ever experienced." "Your attitude and passion really shows. It makes me happy to speak with you."